I have a mid-week post with beautiful new email entries to share from our friend Margaret in Yorkshire. I was delighted to be chosen as one of the Top Three in last month’s Challenge and looking through the cards I made to send to friends and family I found these three which I thought would just fit the bill for this month. 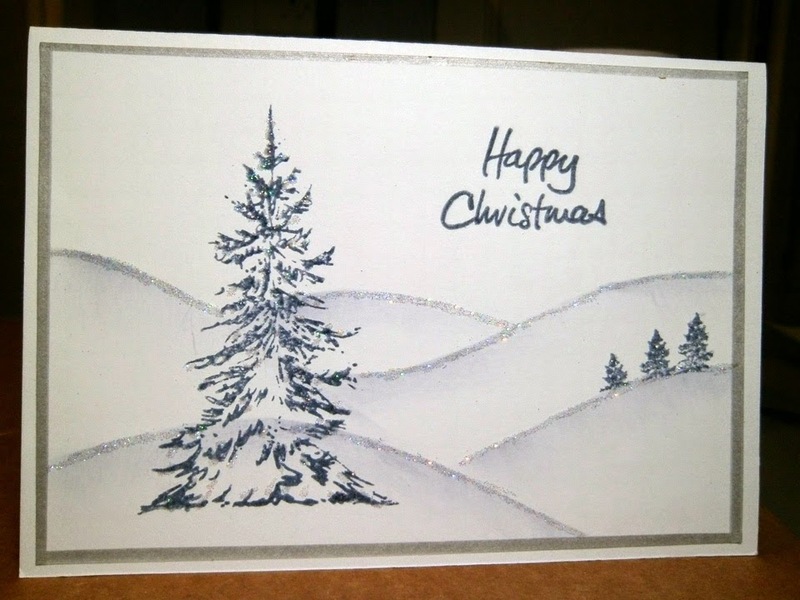 The first card is just a simple Tree and I then created the hills using torn paper, adding some glitter for a wintry effect. 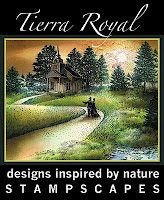 For number 2 I used a template to create the oval and stamped the scene inside using the Forest Ridge Stamp and the tops of the tree , both from Clarity Stamps, and the stamping the tree on the outside of the oval. 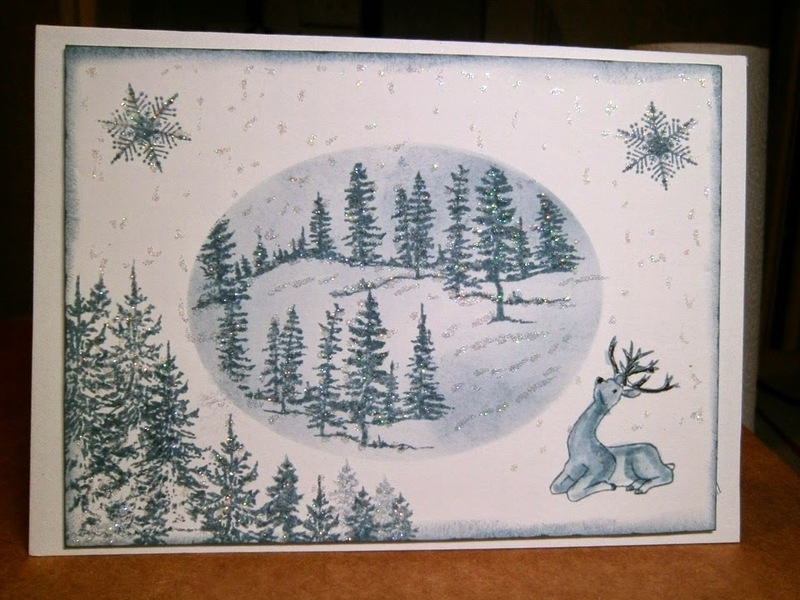 For card number 3 I used Clarity Stamps once again, The window was stamped and coloured onto a separate piece of card and the cut out, and the scene outside used the miniature fir tree and the Christmas Star. 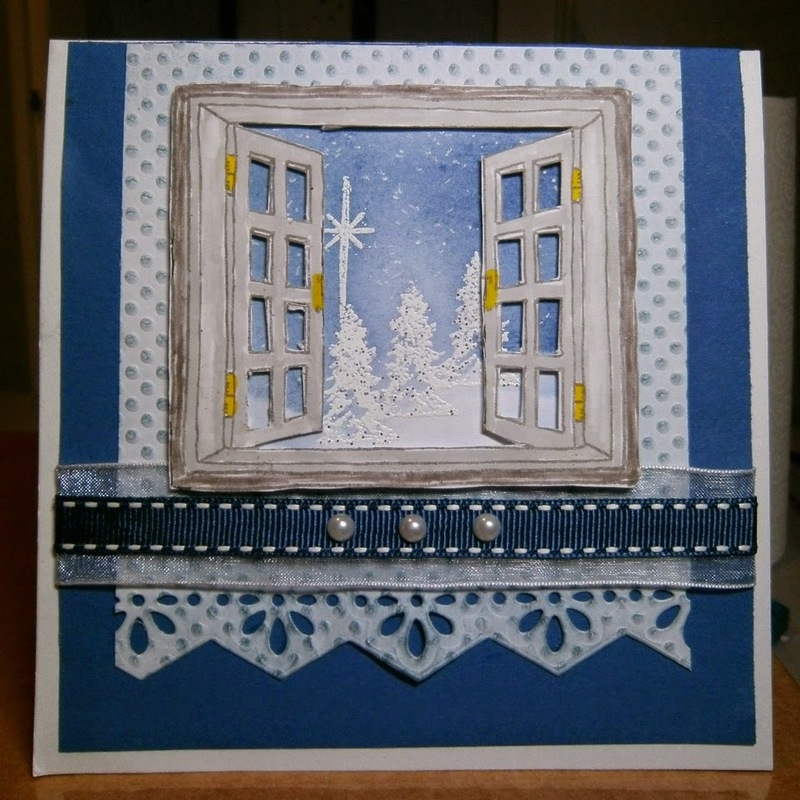 For the background I used a polka dot embossing folder, and I completed the scene with a die-cut border, some grosgrain ribbon and pearls. Thank you Margaret, they are all lovely. All 3 are gorgeous cards. Hugs Mrs A.